2007 U.S. Open: 5-way tie on "D-Day"
The U.S. Open is shaping up into a predictable ending. All five Grandmasters are fighting at or near the top with the IMs in tow. Actually IM Ben Finegold is tied at 7-1 with four GMs going into the last round. 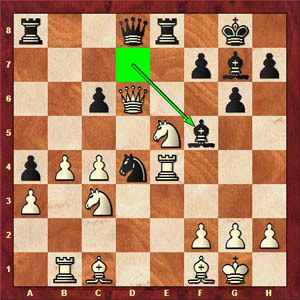 Both he and Hikaru Nakamura played one of the most exciting games thus far. 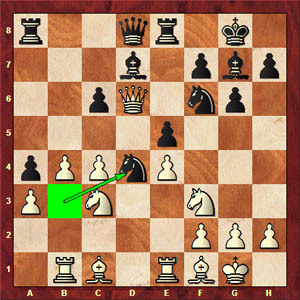 In other action, GM Boris Gulko gave IM Alex Lenderman a lesson in why the Smith-Morra Gambit should not be played at this level. (see game) The tactics leading up to the end was stunning. As this point, Finegold, Shabalov, Gulko, GM Sergey Kudrin and GM Michael Rohde lead the field with 7-1. Nakamura and Simutowe are joint 2nd with 6½ along with seven others! Monroi is providing live coverage and Jennifer Shahade is filing reports at uschess.org. Coverage and blogging available at The Chess Drum.